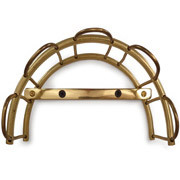 * Put safety first and protect your equine investment! 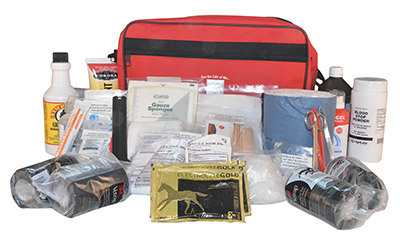 * Complete emergency equine medical kit in every sense of the word! 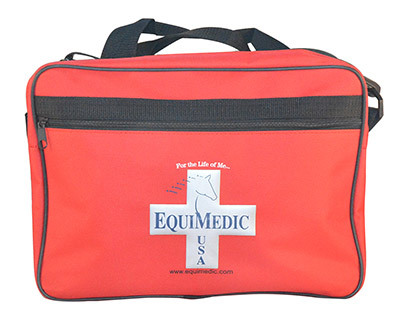 EquiMedic USA complete equestrian first aid kit in bright, bold red bags are easy to find, well-designed, user-friendly and fully outfitted for your equestrian first aid emergencies. They even include some personal first aid items for you! Each kit is oversized to the standard kit contents, so that you can add the products that you already have at home. 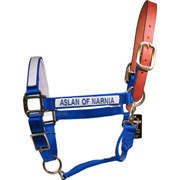 Need certain prescription and ethical drugs for your horse? 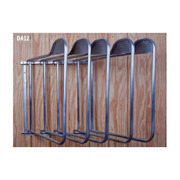 There will be room in your EquiMedic USA kit to store those items as well. 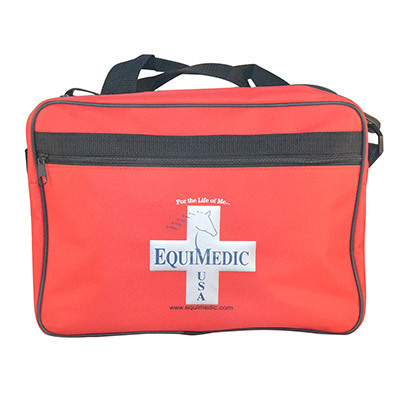 The Small Barn First Aid Kit is a complete emergency equine medical kit in every sense of the word. 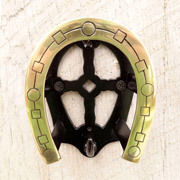 Rated to service 1-3 horses and riders. Contains 39 products/234 total items in a well-organized tote bag made of durable polyester. Features 3 main compartments, 2 zippered outside pockets on 1 exterior compartment, and 1 zippered compartment on the other side. 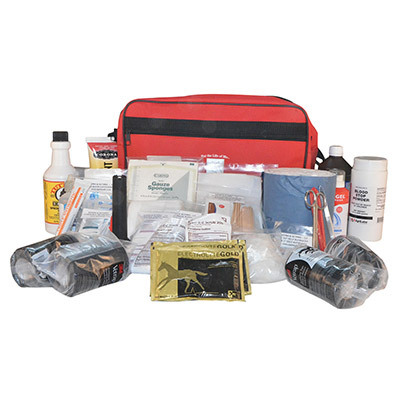 This kit offers enough division to logically organize your medical supplies for fast retrieval and quick response to any injury or illness. 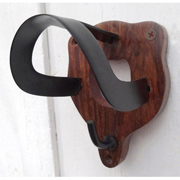 Has both hand-carry handles and a shoulder strap for ease of maneuverability and mobility. 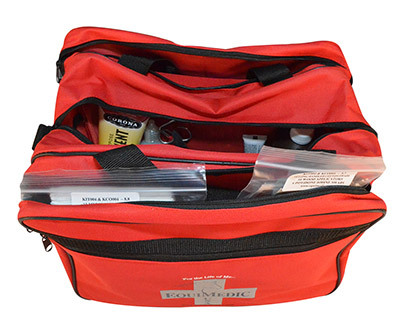 Loops located conveniently inside the compartments allow easy storage of hypodermic needles, small bottles and oral paste syringes so they're right at your fingertips and not laying at the bottom of the bag. 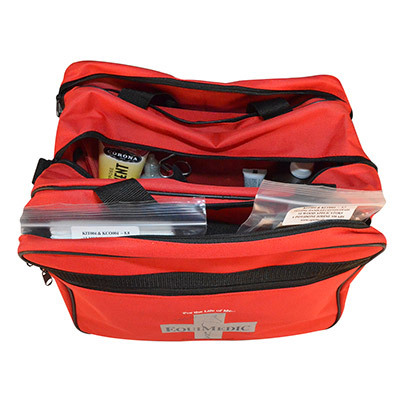 Roomy, oversized kit offers you extra room to stow the medical supplies you already have at home, too. 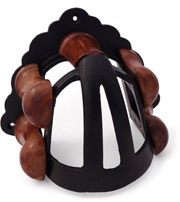 You will be well pleased with the functionality and versatility of this kit design. Measures 15" long x 11" wide x 10" high; weighs 11.7 lbs. 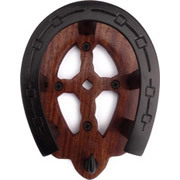 This item will be drop-shipped from the manufacturer. Please allow up to 7 days for delivery.